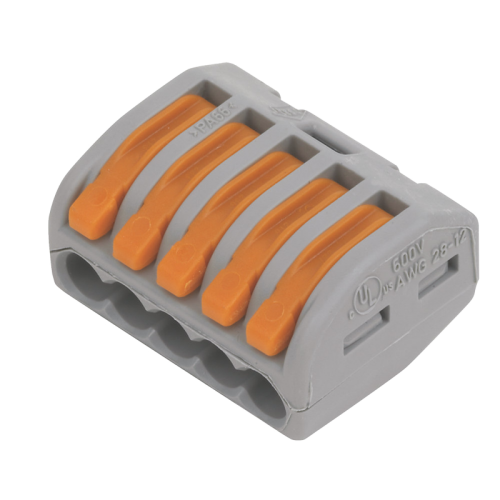 Simple and reusable, 5-way lever operated connector for solid, stranded or flexible conductors. 5 conductor entries. 32A. 400V. 0.08-2.5mm² solid and stranded (7 strand) conductor. 0.08-4mm² fine-stranded (flexible). Strip length 9-10mm. Max. service temp. 85°C.